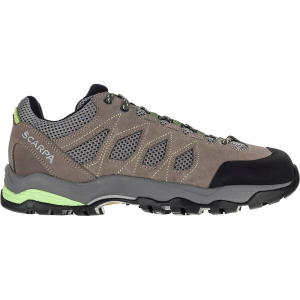 Scarpa added the Moraine Air Hiking Shoe to its versatile Moraine collection in order to give hikers lightweight breathable comfort in warm summer weather. 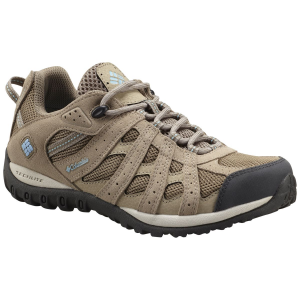 The streamlined suede uppers feature a low-cut construction and mesh fabric windows to add ventilation, with a scuff-resistant toe rand to protect against sharp rocks on desert trails. 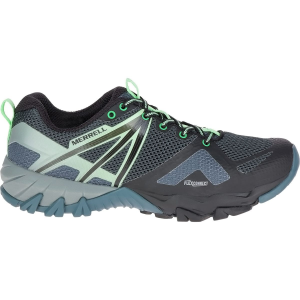 Dual density EVA in the midsole is built with arch suspension, giving you cushioning and support during long, rocky descents, and thanks to the sticky durability of Vibram, you're guaranteed solid traction on variable terrain.